This site is new and may contain bugs. If you find an issue, please send email to problem@nextq.info. However, I'm hoping that it will prove useful to everybody in the Agility field. The collection of show data is done pretty informally. Hopefully future versions will work more directly and more "officially" with the club websites. Though this app has been briefly tested on all five major Browsers (Chrome, Firefox, IE, Safari, and Opera, mainly under Windows 7), it obviously has not, and can not, be tested on all possible browsers, system, and hardware configurations. Please let me know if you find problems. No personal data is ever collected by our server. As you may have noted, there is no login. If you book accommodations through the links on this site, BringFido tracks that you came from this site. And I make some money. The values for your preferred organizations, location, states, and selected shows are saved on your computer by your browser. They are saved in "HTML5 localStorage". If you consider this information sensitive, you should clear it from your browser history. Currently this "localStorage" information cannot be transferred or shared across your computers or mobile devices. Perhaps the browser vendors will change this in future versions. For now, when you switch from your computer to your smart phone, you will have to reenter the information. Susie Livingstone (a.k.a. 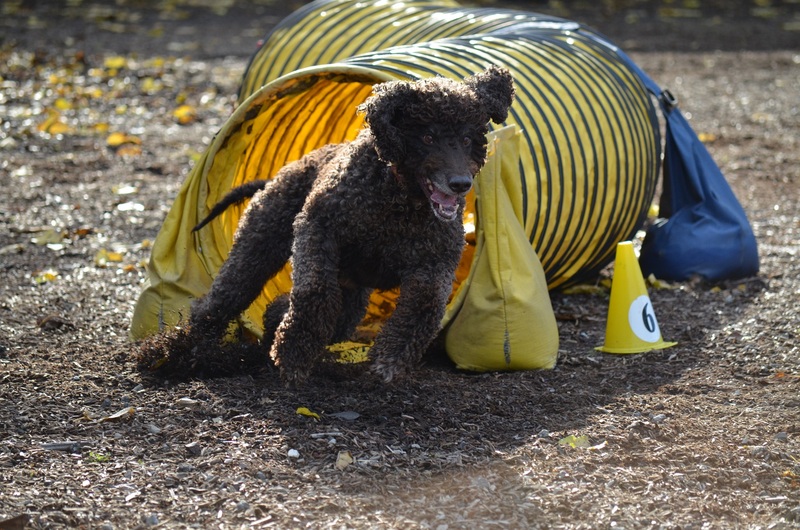 "Peller's Mom") took the awesome photo of Boomer looking like a crazy dog coming out of the tunnel. The table column sorting code comes from Kryogenix. The heart "favorites" icons come from FatCow Free Icons. Please email (see Contact info below) if you have strong opinions or better ideas. More mobile friendly. The current app should run on a smart phone but the layout could be improved. Adding selected shows to your online calendar. Written by Morgan Conrad (a.k.a. "Boomer's Dad"). If you enjoy this site, please help support it by using the following sites. Note: When you checkout, please enter the Gift Code "NEXTQ" in "Step 4: Gift Code or Referrer ID". The following sites look interesting, but I do not endorse, nor do I have any connection to them.